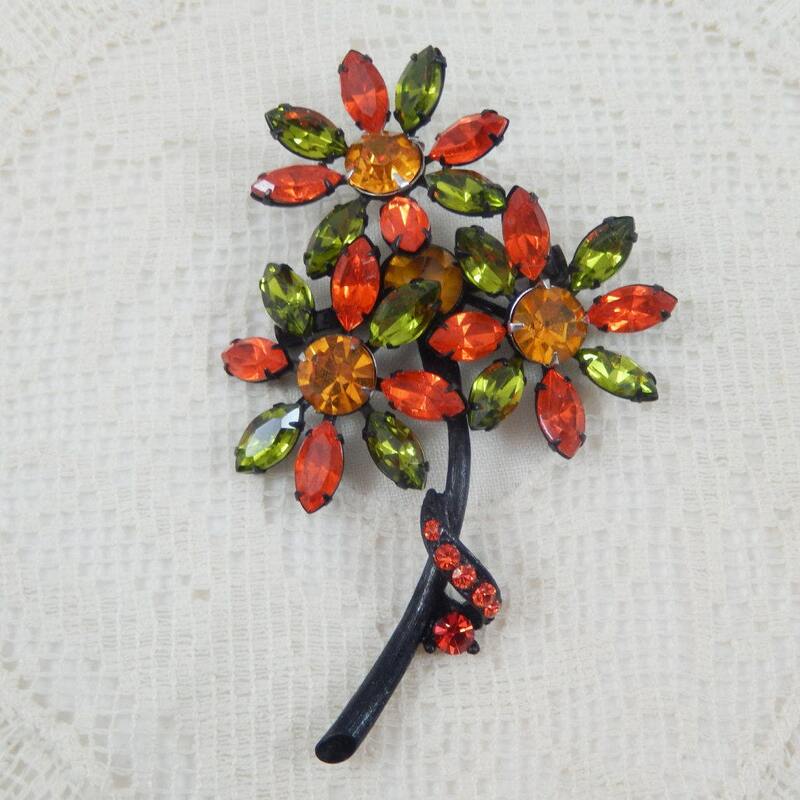 This is a gorgeous sparkling rhinestone triple flower pin. The vivid retro colors are unusual and are green, orange, and yellow. 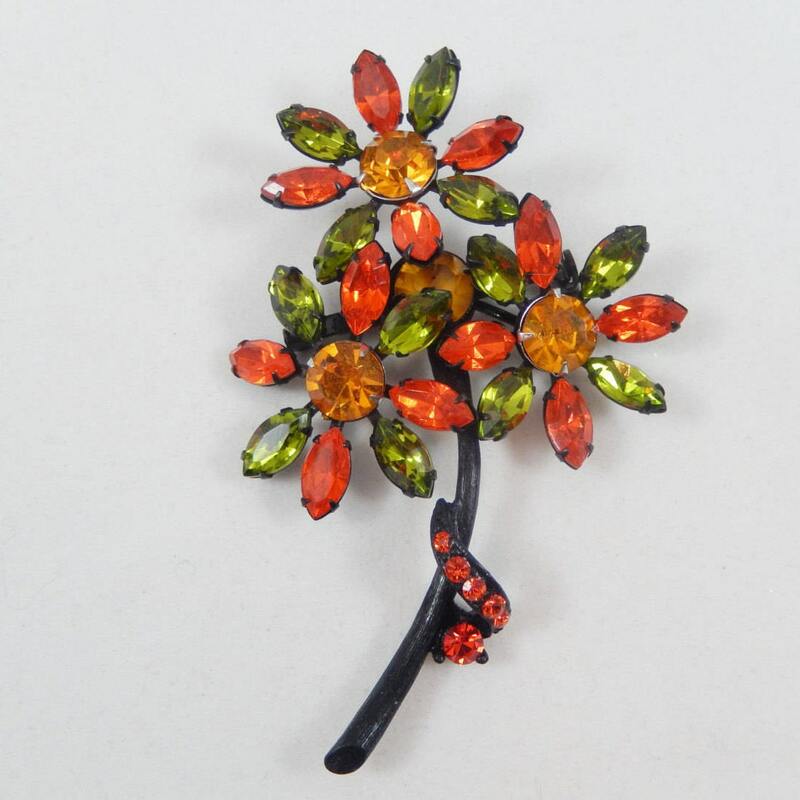 There are three flowers and each has a round yellow rhinestone center, and alternating orange and green navette rhinestone petals. The Japanned black metal finish makes the colors stand out even more. The stem is black and curling around it is a leaf with five orange small rhinestones and a larger round orange rhinestone. It measures 3" x 1 7/8" and the pin closure is straight and works smoothly. 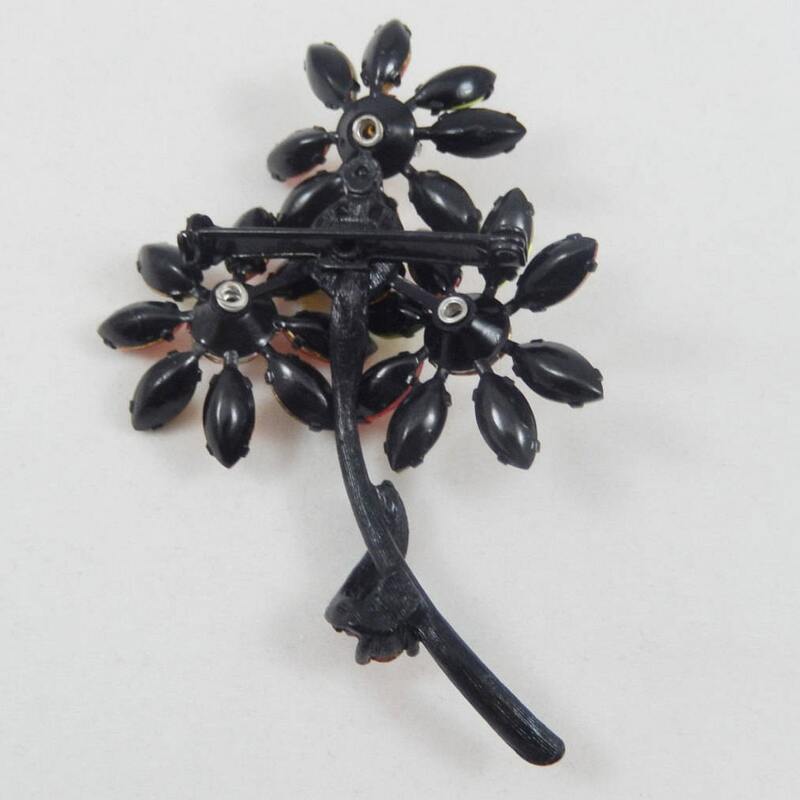 All stones are prong set and the pin is in excellent wearable condition. You are sure to receive many comments on this colorful and well made pin!